If you’re an avid reader of our content marketing blog or a subscriber to our email list, you’ll know by now how important email marketing is. In fact, it “remains a significantly more effective way to acquire customers than social media – nearly 40 times that of Facebook and Twitter combined” (McKinsey & Company). You’ll also know that you need to quickly grab the attention of your subscribers in order to stand out above the noise of email traffic in most people’s inboxes. And you can do that by learning how to write email subject lines that get results. Your email campaigns also need to include links to fresh and relevant content on your own website. So it’s a good idea to learn how to write a great blog post too. But sending emails is only half the story. What about your email list? Most businesses spend so much time thinking about the emails they want to send, they forget who they’re actually sending them to! It’s a good idea to regularly review your email list. It’ll need a little care and attention from time to time, as we saw in our recent article 4 steps to cultivating a high quality email list with MailChimp. This involves cleaning, or pruning, your list to ensure high quality growth, i.e. growing it with people who are actually engaged and interested in your content, not with people who never open your emails and just haven’t bothered unsubscribing. The second reason to review your list is to make use of segmentation. When we talk about segmenting your list, this is basically marketing speak for reorganising it in a useful way. 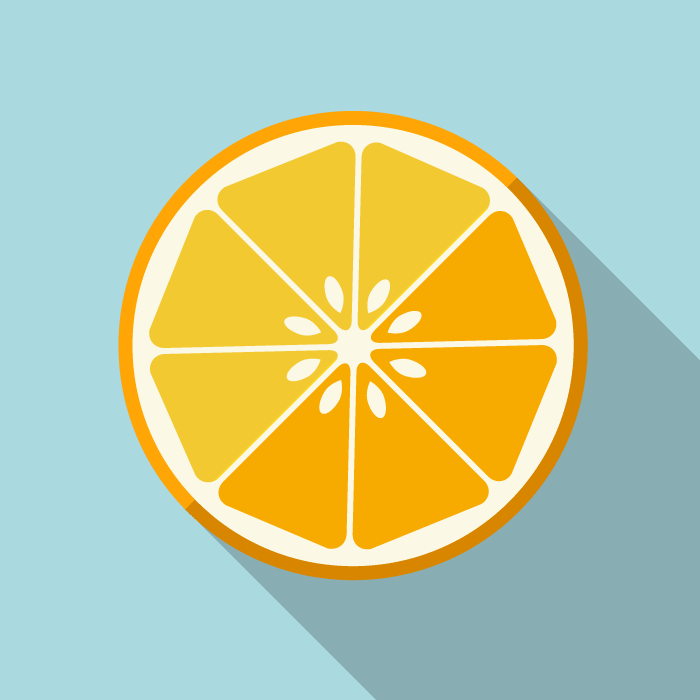 Just as it’s useful to divide an orange into bite-size segments, you also need to divide your subscribers in a relevant and meaningful way. In fact, segmenting your email list is essential for nurturing your community. Segmenting your email list is essential for nurturing your community. How should you reorganise your email list? A group is a category within your list that organises your subscribers by their interests and preferences. You can invite subscribers to opt-in to certain groups on your signup form, to ensure they only receive the information they’re interested in. So, groups are categories you set in advance that subscribers can join themselves. A segment is a specific set of subscribers from your list that have common qualities. For example, you might want to create segments according to location, engagement or activity criteria. Subscribers don’t opt-in to segments; they can only be created internally in MailChimp. So, you create segments from your list in order to send more targeted email campaigns. To get your head around this, it’s helpful to use some real life examples. Here are some examples of how we’ve helped businesses use groups and segments to better engage with their audience. These groups are displayed on the signup form and subscribers are invited to opt-in to one or both groups. When we send email campaigns we segment by these groups, depending on the content of the email – updates on regular classes or information about upcoming workshops. Segmenting your email list works very well for events and workshops, because events generate revenue. Your email marketing will start making you money because you know that when you send out an email you’re sending it to people who’ve expressed an interest in those events, so you’re far more likely to get people signing up. Remember: you must have your landing pages in place before you send out your emails. So, if you’re sending an email about a workshop, make sure you’ve created a page for the event that you can link to from your email. We then send different content to these segments, for example, special offers, product updates, company news, etc. If you’re a retail business, segmenting your list is crucial for getting the right products in front of the right people. If your subscribers have expressed an interest in certain products, they’re far more likely to buy from you when you send them promotional emails about those products. Again, make sure you have the content in place to support your segments – you should always include a link to every product you feature in your email. Follow our step-by-step guide to creating groups from your email list. From your MailChimp account, go to Lists and select the list you want to work with. You can decide whether to show these groups on your signup form, or whether they’re for internal use only. You can also decide how the groups will be displayed. Enter a group title and the names of the groups you want to create. These groups will now be displayed on your signup form, if requested. You can view, edit and import subscribers into your groups by selecting Groups from the Manage Subscribers menu within your list. Go to your list > Manage Subscribers > Segments > Create Segment. Set the criteria, preview and save. When saving, there’s an option to auto-update your segment, which means all subscribers matching your criteria are pulled into the segment before each send. If you don’t select auto-update you’ll create a static segment that includes only those subscribers in the list at the time of creation. Go to Campaigns > Create Campaign. In the Recipients tab, choose your list and you’ll be presented with 3 options: Entire list; Saved or pre-built segment; Group or new segment. You can choose a segment that’s pre-built in MailChimp, or set your own criteria, including any groups you’ve created. Click ‘Update Recipient Count’ to see how many subscribers your campaign will go to based on your segmentation. If you’re adding groups to an existing email list, it’s a good idea to send a re-engagement campaign asking your subscribers to update their preferences. Otherwise, only new subscribers will be able to opt-in to your new groups. We’d suggest sending an email campaign to your entire list explaining that you’re making some changes and that you want to make sure they only receive the information they’re interested in. This way, your subscribers will understand that it’s in their best interests to opt-in to the relevant groups. In your email you can use the merge tag *|UPDATE_PROFILE|* instead of a URL for your button link and MailChimp will handle the rest. Sound like too much hard work? Don’t panic! When you sign up for our Essential Setup package we’ll take care of all this for you. We’ll set up your MailChimp account if you don’t have one, create or review your email list and work with you to create relevant and meaningful groups and segments for your email campaigns. We’ll even create and send a re-engagement campaign to all your contacts asking them to update their preferences. So you can rest in the knowledge that your newly organised email list will be helping to nurture your community. « Content Kitchen 9: How do I get more enquiries through my website?